India and Japan have signed bilateral Civil Nuclear Cooperation Agreement. After this, India has become the first non-NPT country with which Japan has signed a deal like this. Previously, India did not fit into Japan’s “Hikaku San Gensoku (three non-nuclear principles). India has also signed civil nuclear deals with ten countries namely United States, Russia, South Korea, Mongolia, France, Namibia, Argentina, Canada, Kazakhstan and Australia. The Steel Authority of India Limited (SAIL) has won the 2016 Golden Peacock Award for Corporate Governance during the 16th London Global Convention on Corporate Governance and Sustainability in London, United Kingdom. SAIL is one of the largest state-owned steel makers in India and was founded in 1954. Lakshmi, India’s first banking robot was launched by City Union Bank in Chennai, Tamil Nadu. 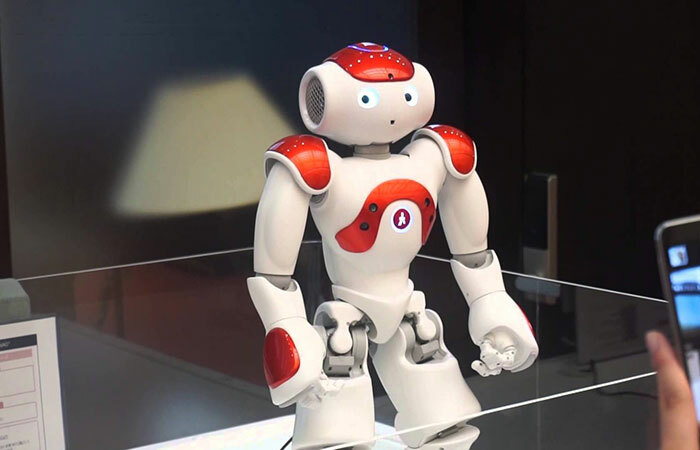 It will be the first on-site humanaoid (robot) in India and can speak English and gesture in a life-like manner. The High Level Meeting of Interior Ministers of the Indian Ocean Region (IOR) to Counter Drug Trafficking was held in Colombo, Sri Lanka where the Colombo Declaration was adopted. The 18 littoral states aim to make the region a “Drug Free Zone”. Kudremukh Iron Ore Company Limited (KIOCL) has been ordered to terminate its plans to convert under-utilised buildings in the Kudremukh National Park (KNP) into a resort. Wildlife activists had questioned the legality of running a commercial resort in the core area of the park where the government was running rehabilitation programmes for forest dwellers. The Supreme Court dismissed the review petitions filed against the commutation of death penalty to Govindachamy, the sole convict in the Soumya murder case. It noted that the prosecution wasn’t sure of the degree of the accuracy of the evidence provided. The bench constituted of Justice Ranjan Gogoi, Justice P.C. Pant and Justice U.U. Lalit. The death sentence was reduced to seven-year imprisonment for causing “grievous hurt” to Soumya, who was pushed off a train and raped by the accused. Soumya succumbed to her injuries a few days after the incident. Earlier, the Kerala High Court had upheld the death sentence awarded by the Lower Court to the accused. However, the Supreme Court stayed the order of the High Court in 2014 and later, in September 2016, dismissed the death sentence. Former Supreme Court judge Justice Markandey Katju was invited by the Bench for an open-court debate on his Facebook post that said that there were fundamental flaws in the judgment passed by the same Bench in September. When Justice Katju appeared in the Court, he was triggered by remarks made by Justice Gogoi and protested against such behaviour. Justice Gogoi slapped Justice Katju with a contempt of court proceedings notice. The World Bank has asked India and Pakistan to agree to mediation over the dispute over two hydropower damns in Jammu and Kashmir. The dispute is over Kishenganga and Ratle hydel plants that India is constructing over the Kishenganga and Chenab rivers respectively. The Department of Public Instruction (DPI) has decided that the Aadhaar card is mandatory for a child and one parent for seeking a seat under the 25% Right to Education reservation quota in private unaided schools. The Supreme Court of India has held that the 2004 law of the Punjab Government that terminated the Sutlej-Yamuna Link (SYL) canal water sharing agreement was unconstitutional. Punjab could not have made the decision unilaterally. 1. India recently signed a bilateral Civil Nuclear Cooperation Agreement with which country? 2. _________ won the 2016 Golden Peacock Award for Corporate Governance during the 16th London Global Convention on Corporate Governance and Sustainability in London, United Kingdom. 3. Name India's first banking robot. 4. Where was the High Level Meeting of Interior Ministers of the Indian Ocean Region (IOR) to Counter Drug Trafficking held? 5. What is the punishment given to the sole convict in the Soumya murder case? 6. Which body has asked India and Pakistan to settle their disputes over the Kishenganga and Ratle hydel plants by resorting to arbitration? 8. What will have to be produced for seeking a seat under the 25% reservation available under the Right to Education quota?